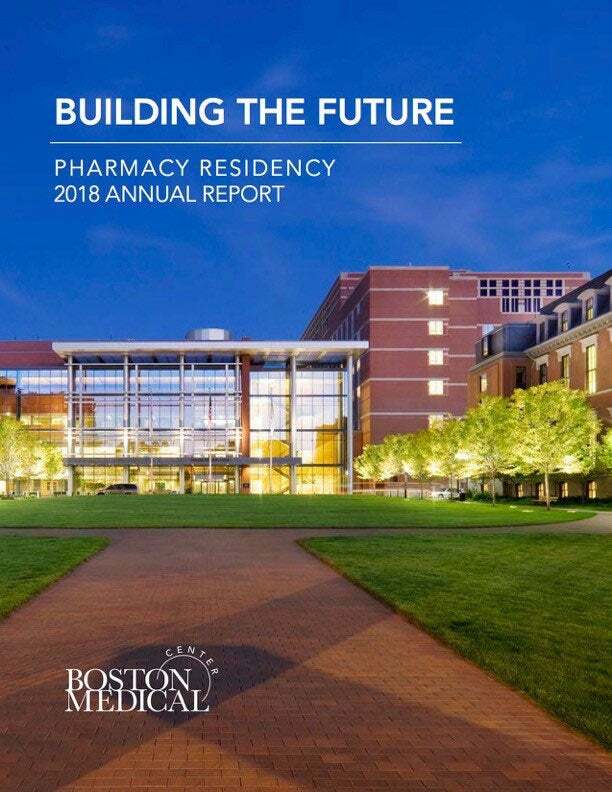 The residency programs at BMC help pharmacy residents build the skills required for providing contemporary pharmaceutical care to a diverse patient population. Boston Medical Center currently offers 13 total positions in 7 different pharmacy residency programs. There will be 7 PGY1 residents, with the remainder of positions dedicated to PGY2 specialty programs in Ambulatory Care, Critical Care, Emergency Medicine, Infectious Diseases, Internal Medicine and Oncology. The BMC residency programs are designed around the ASHP program requirements. We are proud to have been involved in pharmacy residency training for over 30 years. Our graduating residents are well-prepared to pursue specialty residencies, advanced patient care positions, and clinical faculty positions. The BMC residency programs invite you to review our annual report for further insight into our program. Inside we detail the residency programs quality work, strong relationships, and diverse opportunities that present themselves to our residents yearly.